What is the Real-Time Agenda Technique? A real-time agenda isn’t a type of meeting. It’s a technique that you can use in many different types of meetings. We consider this one of the master techniques, because it’s useful, extremely adaptable, widely loved, and it pops up all the time. 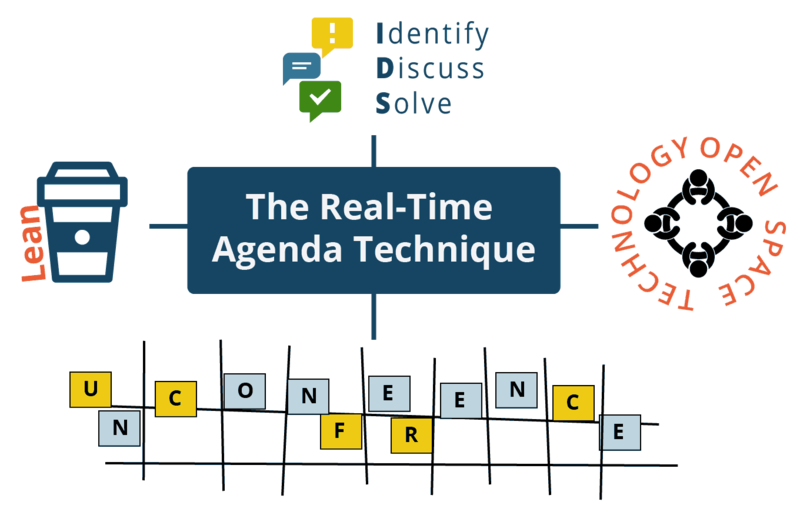 You’ll find variations of real-time agendas by many names: examples include Lean CoffeeTM, IDS, Open Space, and Unconference. You’ll also find a few references that simply call it a real-time agenda.